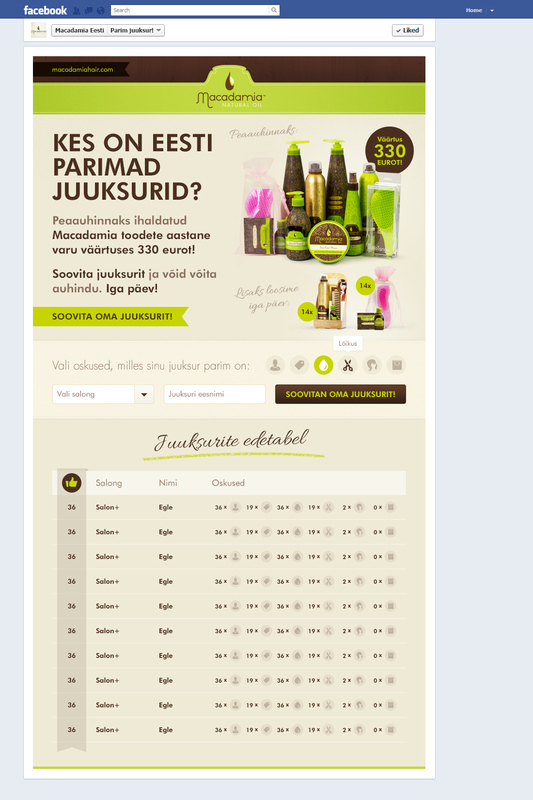 The aim was to create interest between Macadamia products and hairdressers, consumers. Also inform them about the brand and embed a positive emotion through these actions. We created a "rate-your-hair-dresser" Facebook app, where Macadamia was on the hunt for the greatest hair dresser. Consumers could suggest hair dressers and insert salon's. For motivation we gave Macadamia products as gifts to the users. The app and campaign was support through Facebook Advertising possibilities.